From day one I have held or worn the Wee Baby T as often as possible. At first it was all about bonding, but as time went by baby wearing became equally utilitarian as a hands free way to keep him close. The Baby K’Tan was great first keeping T close, and the Bridge the Bump extender let’s us keep him warm while carrying him through the winter. K decided she need to switch to a structured carrier. 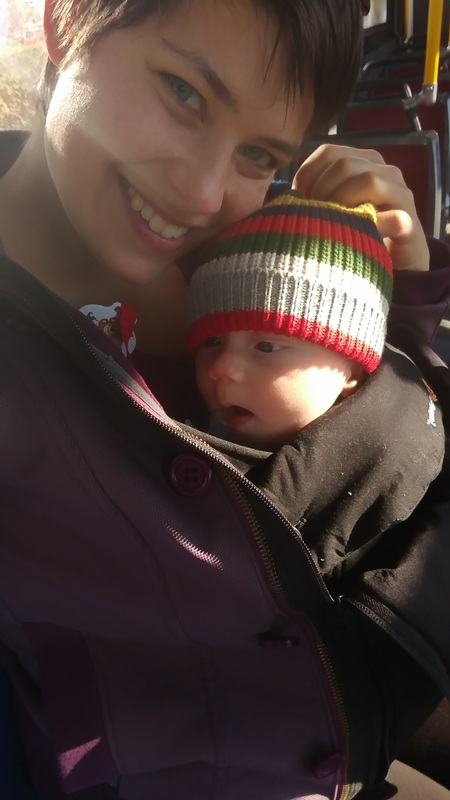 I love our Infantino, but my wife wasn’t a fan of the separation that the Infantino had when baby wearing – the very straps that support T so well get between us and our son. We decided to buy a new carrier. It was assessed against several categories – multiple baby wearing positions, plenty of support, good quality, wide seating positions for proper ergonomic set up, and of course the price had to be right. 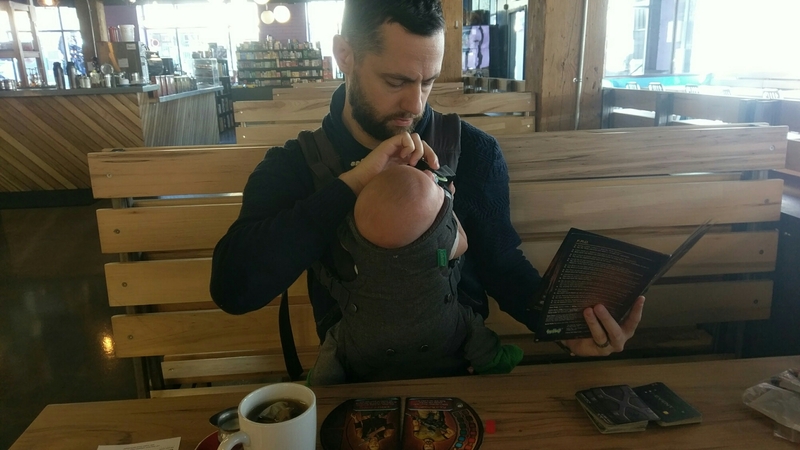 Eventually we settled on the Ergobaby 360 when it went on sale at Indigo. Right out of the box it was clear that this was a great investment. The Ergo 360 is well manufactured, with thick padding and comfortable straps. 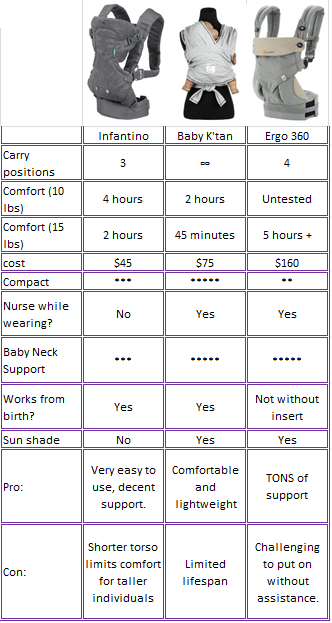 The carrier itself is completely open between child and parent, and offers a closeness that you don’t get with many other structured carriers when baby wearing. While the Ergo 360 shares many of the benefits of the Infantino there is one drawback: Unless you are a contortionist, the shoulder clasp is impossible to connect without assistance. I’ve tried countless ways to connect it, but without K I can’t get it anywhere near secure. 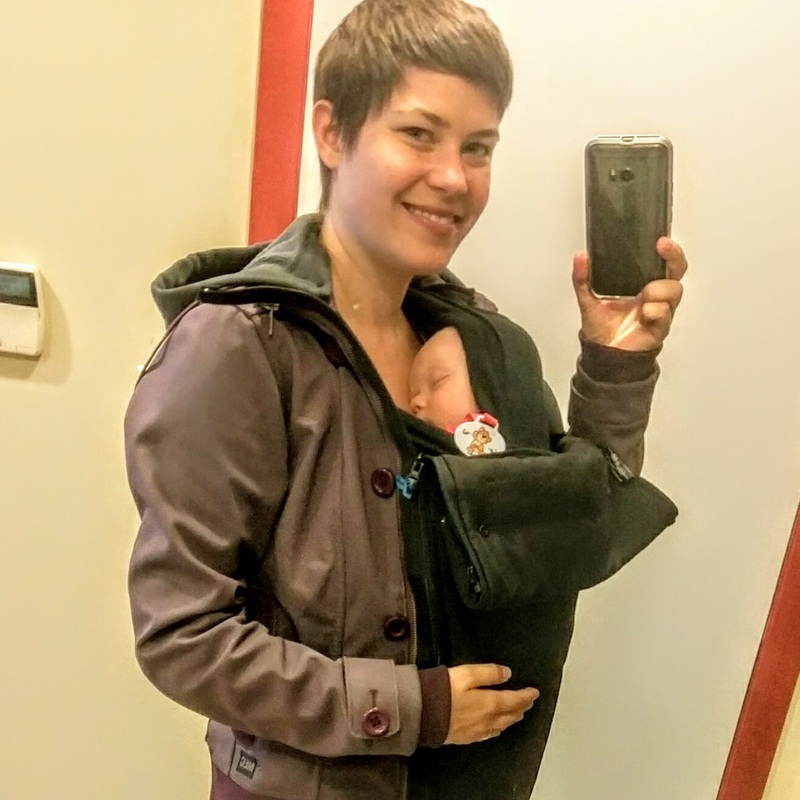 There are so many other carriers available, but when it comes to baby wearing with FFI and FFO options the Ergobaby 360 is our best option now that T is 4 months old. We are definitely keeping both the K’tan and Infantino for next time around though!